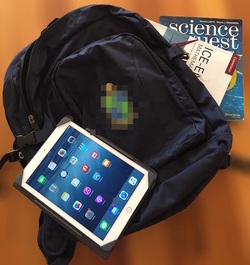 Are you the parent whose child is starting school this year with a new school-mandated iPad? Are you perhaps sending your child off with a iPhone? Has you child's iPad and/or iPhone been set up to protect them from unintended (or inappropriate) use and content? Do you know how to do this? At this 2½ hour workshop at iTandCoffee, we show you all the things that need to be done to set up your child's device, and we will assist you individually with this setup (should you need help).